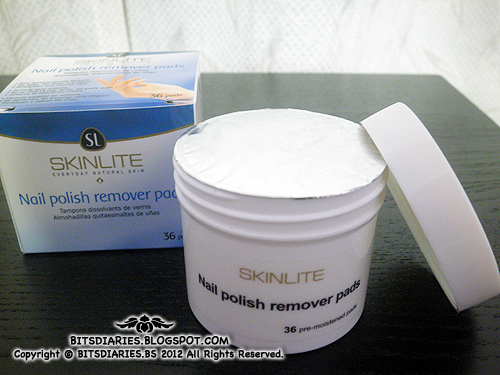 - Pre-moistened, non-acetone, one-step nail polish removal treatment. - Pads are saturated with special formulation that easily removes nail polish while conditioning cuticles and promoting healthy nails. The product comes in a 'cheap-looking' plastic container with a plastic twist-off screw cap. It's well sealed with foil. Contains only 36 pre-moistened pads. The thickness for each pad is quite thin. It has a citrus-y scent. I like it. hahahah. I will not repurchase this. 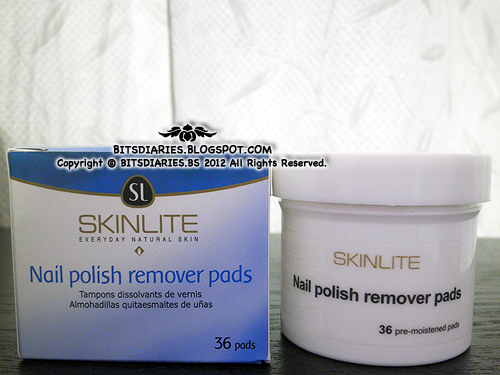 I prefer liquid form nail polish remover because it removes nail polish quicker than this pre-moistened pad. And even if it's well-kept in the container, the pads tend to dry up easily once the foil is unsealed. 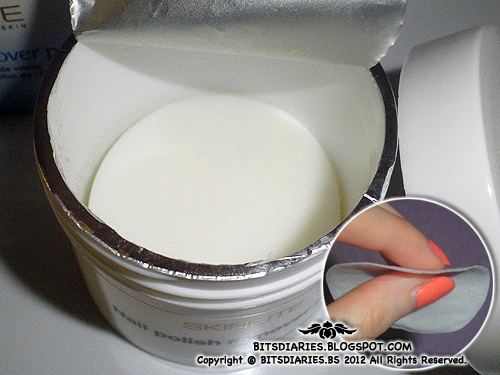 If it's begin to dry up(semi-dried up), it gets much tougher to remove the nail polish. Once the pads totally dried up, it became useless............ (-.-) Well, mine dried up... lol. sigh. I'm not going to repurchase this. That's it.